With Micro Deal Factory, users who won deals will make the payment to the website and not to the actual seller. All of his earnings will be kept by the website until he decides to withdraw the money. The website will keep a certain percentage of that sum. On the "Payments" page you will find the payment orders already made by users and with all the details such as the order id, amount paid or which method was used (PayPal or Skrill). You can manage the orders by validating, invalidating or editing them when needed. An additional tab is available which displays only the orders made by the administrator to the users upon withdrawal requests made by them. 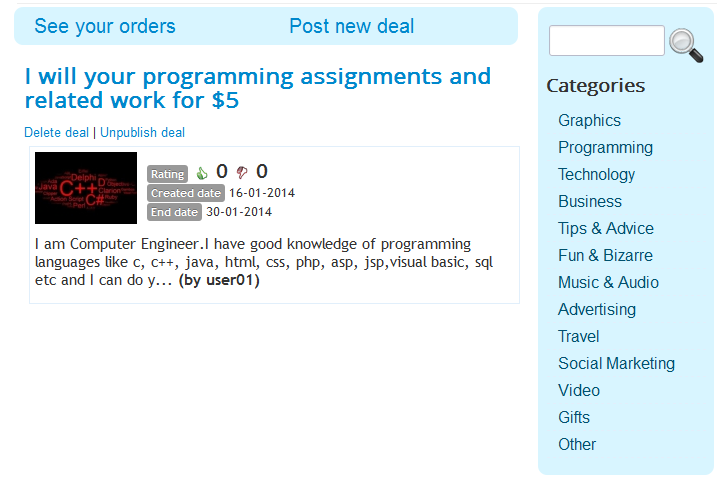 Micro Deal Factory comes with 2 payment gateways by default, PayPal and Skrill(Moneybookers). You can enable or disable them from the "Gateways" page, by checking the box and clicking on Publish/Unpublish. Before enabling the gateways you will need to configure them by adding the proper PayPal and Skrill(Moneybookers) email addresses, which will be used on orders. 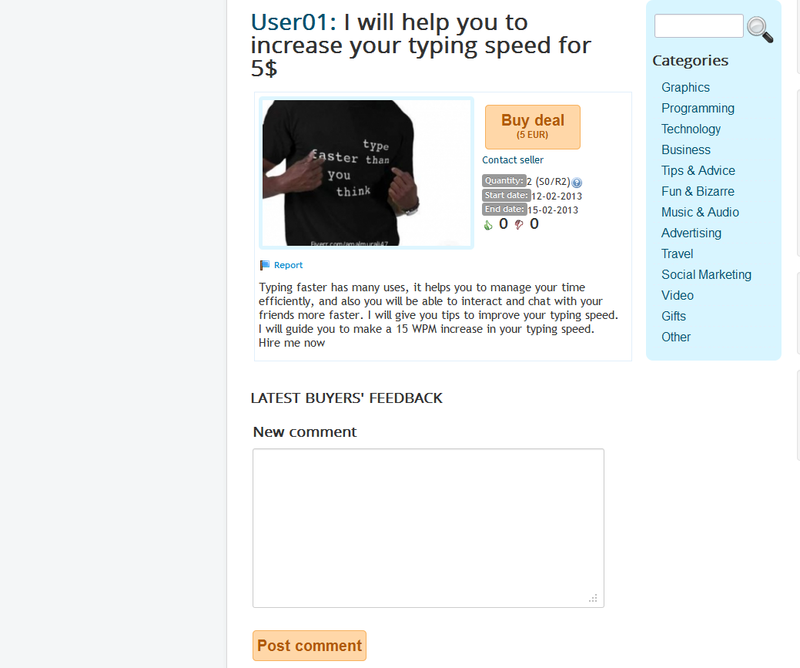 For PayPal, you can even enable a Sandbox which can be used for testing purposes. Other Gateways can also be added into the extension, refer to our API for 3rd party Payment Gateways integration page. From the "Categories" page you can add, edit or remove specific categories on which the users can assign their products/services. To add a new category simply click on "New", enter the title and click on "Save & Close". With the Sidebar feature enabled, users can navigate through categories. Clicking on one of the available categories will redirect the user to a listing of all the deals from that respective category. To search for a product or a service you can use the Sidebar feature, if this feature is enabled from the backend. On the Sidebar simply use the search function or the categories tab right under it. After you found the deal, click on it and you should see the product details such as the timeframe, tags, the available quantity of items remaining, description, buyers feedback and more. To buy a product click on the "Buy deal" button. After you pressed the Buy deal button, the next step is choosing the gateway. Check the desired payment method and click on Buy deal to proceed. The last step is to confirm the deal, verify it and click on "Buy now".